“…Fortunately, we contacted ECOSTONE to purchase the stones and received the best possible service and product knowledge. There were many “take home” samples and the staff was patient and friendly. When it came time to purchase, all the products were in stock, the warehouseman loaded my car for me, and ECOSTONE made payment method as easy as it could be. Also, I was able to return any unopened cartons after we were finished. 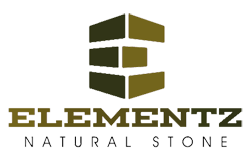 ” We were treated with such courtesy and introduced to the stone product with detailed explanations. Our ordinary fireplace was transformed into extraordinary! Any doubts we had about taking on this big project were quickly squashed by the professional installers. They worked their magic with the stones and mortar bringing our vision to life!